Here's a look at what the New Year will hold for the meetings industry and how planners can ensure 2014 is successful. Your company’s and/or event’s brand is something which is very important. It is what visually distinguishes you, and makes your mobile application unique across the millions of other mobile applications. How far can the customization go? As far as you want it. First start the basics: colors and logo. Your primary color determines the how buttons, panels, links, and shading look. 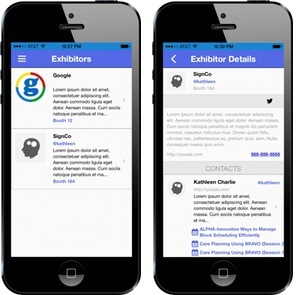 Your primary color is incorporated into every colorable aspect of the mobile application. It is recommended to use a darker primary color so that white colored text is crisp against it as a background, and so that when used as a link color for text that it displays against the much lighter background color. The logo is used at numerous resolutions as your mobile application’s icon. Through the Yoxxie Content Management System you only have to upload a single large image, which is then resized to meet all of the icon size requires for iOS and Android. No more having to manually resize the same images dozens of times. Background images, custom maps, fonts, button icons, etc. Everything can be customized to suit your event’s needs. Do as little or as much as you want in order to accomplish your events particular branding goals. With all the different technology that is available today it is almost like you only need a team of one to run your event. 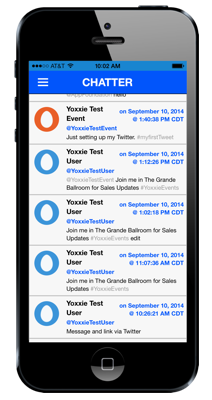 Yoxxie allows your event mobile application users to build their own schedules. No more having to spend the money to printout one-fits-all schedules for everyone, or having to force attendees to hack something together using their own calendars. Give your attendees the power to control their own schedules. 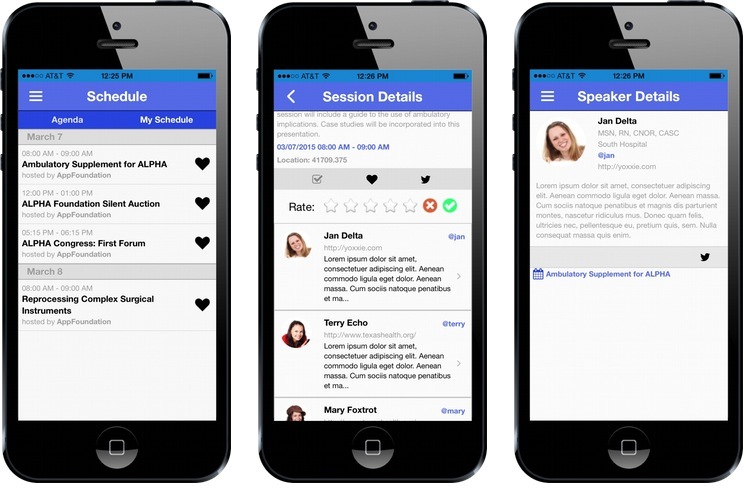 Once you invite your attendees to your event hosted on the Yoxxie Mobile Engagement Platform, your attendees can start adding available sessions to their own schedule. Each session can provide as much or as little detail as you want, and can even include allowing attendees to connect with speakers through many different social media platforms. More connections means better engagement. 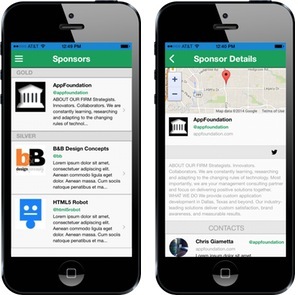 By allowing attendees, exhibitors, and sponsors to connect inside and outside of the Yoxxie Mobile Engagement Platform, your event lives on beyond its last scheduled session. People can lookup their contacts, download session documents, and pursue other forms of engagement long after the event is over. Yoxxie and Twitter Chat, Want a Demo? Yoxxie can stream your event’s Twitter steam in real-time. Contact us and get a demo scheduled today. Every year Event Manager Blog publishes an overview of the most significant trends affecting events. Here is your report for 2014.